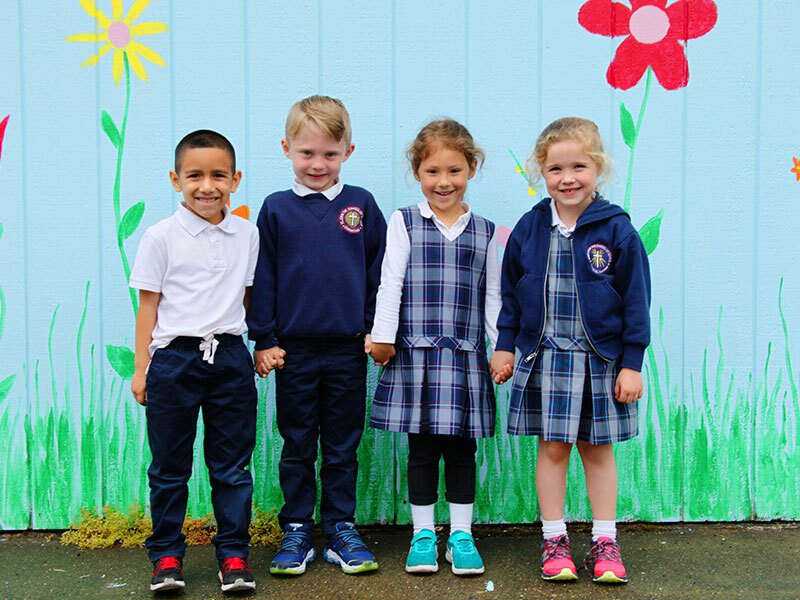 An educational ministry of St. John the Evangelist Catholic Church, St. John the Evangelist School places emphasis on providing a religious foundation for all students. The Catholic faith is an academic subject in its own right, and it is also integrated into all other academic disciplines and school activities. The Religion curriculum challenges students to participate in worship, to act as part of a community, and to realize that each person deserves love and respect. Students study scripture, learn Catholic doctrine, and study and prepare for the Sacraments of Reconciliation, Eucharist and Confirmation. Students are encouraged to respond to the needs of others, to live peacefully and justly, and to care for God’s creation.